If you’ve been stopping by this week you know Margaret Daley started all the tagging fun on Saturday. Today’s my turn to provide six, little known facts about my life. d. Tag six random people at the end of your post by linking to their blog. e. Let each person know they’ve been tagged by leaving a comment at their blog. 1. Right after my sixth birthday, my mother and I took a boat from California to Japan to join my father who was stationed there with the military. Don’t think luxurious ocean liner. It was a military troop ship, and we shared a tiny stateroom with another army wife and her two children. Bathrooms were down the hall, and everyone was seasick. 2. My hubby and I had a lot of social commitments to attend when we lived in Germany for three years. One of the most exciting was being invited to a palace to have dinner with the prince and princess. 3. Since it’s almost Derby Day, I have to mention that I’m a Kentucky Colonel. 4. These days Christmas cards sent out by the President and First Lady are addressed by computer, but years ago the envelopes were painstakingly handwritten by volunteers. I was part of a group of military wives at Fort Belvoir, VA, who addressed the cards one year. We were then invited to a lovely Christmas Tea at the White House. 5. Pasta is my favorite food! 6. It took me more than ten years and six completed manuscripts before I sold so never give up! Tag! Six random things about me. 1) I love to watch American Idol. Okay, maybe that's not that random since I blogged about watching the show a few weeks ago. I also love Dancing with the Stars. 2)I used to be a model in NYC. That was a very exciting and different time in my life. 3) I love poptarts. Cherry and Raspberry are my faves. 4) I collect recipes but I hate to cook. I know, weird. 5) I love costume jewerly. The sparklier the better. Real gems are great but not as much fun. 6)I love to dance. I took ballet as a child and then danced in high school musicals. I love to do any type of dancing. And am hoping that one of these days my husband and I will follow through with taking ballroom dance lessons. 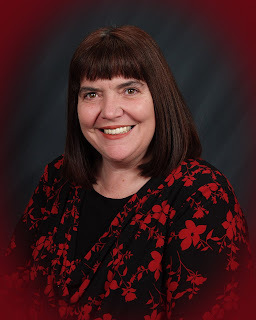 On another note, starting May 1st and every week proceeding, I'll be posting an interview with one of the heroines of the current months Love Inspired Suspense book. Look for the cover of each book and bio of the author as well. So looking forward to hearing what our intrepid heroines really think! 1. When I first start watching Bones, I miss CSI and think CSI is better. By the time I'm four or five episodes in, I'm hooked to Bones. Then, when my BONES DVD ends, and I switch back to CSI, I miss BONES and think BONES is better, for about four or five episodes. 2. Last night I finished and printed off the book I need to mail off this morning. To my amazement, I still like it. I no longer love it. I only love my books during the first draft when I'm writing what I want to write. I do like the book after I make revisions but by then I've sweated glood over the changes. 3. I really need to get that overdue library book back. 4. My son Mikey is starting to really starting to talk. It's amazing. The other day he said, "Does my Uncle John live over that way?" Keep in mind, he's just barely three. That's an eight word sentence! He can also say four syllable words. His favorite is helicopter. I am constantly amazed by my son. 5. My weekends really go by much too quickly. 6. I'm doing puppet plays for the Children's Bible Time at church. This means that when the announcements begin at the end of the service, I leave and head down to the kiddie room. I thought I'd feel put upon (imagine admitting that) but I'm loving it. And Mikey thinks it's ever so neat that his mother comes in to do puppets. Tagging...what fun! Since Lisa listed her six things here, I will too! 1. When I was young--six years old, in fact, my parents got me my first horse. Handing over those reins was like handing over the keys to a car! My riding buddies--most were a few years older--and I had the freedom to ride all day long, and had endless adventures. That sure isn’t something a parent would dare allow today! 2. I left college for a while, and worked as a demonstration rider for a horse trainer who gave training and riding clinics all over the country. What an experience that was! 3. My dad was in the CIC during WW II (which pre-dated the CIA.) He had amazing (and frightening, to me!) experiences. He was quite a guy--he spoke five languages, was a master gardener, a photographer, a volunteer fireman, president of the church council for years and years, a skilled woodcrafter, he build a 30 feet cabin cruiser in the backyard that ended up being used down in the gulf, he built larger model airplanes, and an eighty, he was tapped by a modeling agency out of the blue, and began modeling for magazine and newspaper advertisements! He passed away just months before the release of my first book. My dear mother is now 92 years young, still has loads of Kansas charm, and has the best sense of humor of anyone I know! 4. I collect cookbooks--and am on a continuing quest for the best bread pudding and crème brulee recipes. Have a recipe you can share?! 5. I love photography. The digital age has made everything so much easier, and so much less expensive! My favorite place in the world to take pictures is the Teton Range, an incredibly scenic part of the Rockies in Wyoming. 6. Of anything in the world, I'm the most proud of our three children!! This is all Linda Goodnight's fault (this is said in loving kindness because Linda is a wonderful writer and friend). I would never have tagged anyone if she hadn't tagged me. Then I thought about Craftie Ladies of Suspense blog and I instantly had my six people to tag (I'll take a shortcut anyway I can). So I am tagging Cara Putman, Roxanne Rustand, Pamela Tracy, Debby Giusti, Terri Reed and Lisa Mondello. 1. My biggest joy in my life besides the day my son was born is the day my granddaughter was born. She is adorable—I know every grandmother says that. The thing that is different is that I don’t have a ton of pictures of her. I can count on my hand (one, not both) how many. I do have some digital ones in my camera but don’t really know what to do with them. I probably should go and buy a good old fashion camera and take a few snapshots to show my friends. Or I should figure out what to do with all my digital shots locked inside the camera, but then that would require time that I don’t have right now. So the next time I’m at the grocery store one disposable camera will be in my shopping cart. 2. I’m finally retired so why don’t I have more time? Good question that I’ve been asking myself a lot lately. Could it be because I took a subbing position for two months or the computer games (I’m really not that bad most of the time) I play because I’m too tired to think. 3. I think my roots are calling—not my hair roots (although they probably need another dye treatment soon) but my heritage. I want to go to Ireland and have for a long time. I had a trip planned and it fell through. One day I hope to visit. 4. There was one time years ago when my friend and I got caught in a riot in London purely by accident. We took the tube and needed to go across the square to get to our connection. We came up to street level from the tube station smack dab in the middle of a huge crowd with people carrying posters and shouting. They were protesting a poll tax. It hadn’t turned violent yet. I’ve never moved so fast. We got out of there and thankfully we did. That crowd ended up going on a rampage shortly after that and into the late night. The next day we saw the evidence on the way to the airport—cars turned over and burned, litter everywhere. 5. I love to travel but the best feeling in the world is coming home. 6. I have an auditory processing problem. I have had to deal with it all my life and sometimes it has caused me some embarrassing moments—like when I was speaking to a group and mispronounced a word. I love caller ID because now I don’t have to depend on a person giving me their phone number on my message machine so fast I can’t hear what the numbers are. Now all I have to do is look at my caller ID to get the correct numbers. Myself and four other authors Molly Bull, Ginny Aiken, Jane Perrine and Ruth Schmidt) have written a book called The Overcomers. It will be out in 2009. It is about dealing with a learning disability in our life and how to overcome it to become successful. Now to get to the really fun part—tagging others. I am tagging the other six others on this blog with me. I hope they will take up the challenge and tell us six random things about themselves. 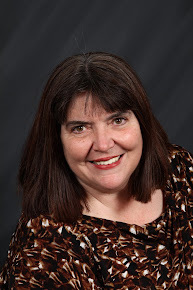 I've written all types of stories in subgenres within romance, both secular and Christian fiction. I enjoy writing and reading both. I'm well aware that not everyone likes to read Christian romantic suspense just like some people prefer science fiction books over mysteries. Having said that, I'm always curious when people ask me why I write inspirational romantic suspsense. I hadn't really given it much thought until the question came up more than once. 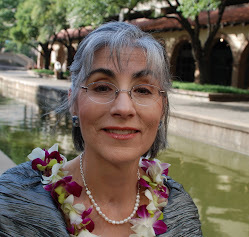 For me, writing Christian fiction was a natural progression. I didn't feel that it was a mission to write inspirational books or a calling that pulled at me. I'd been writing traditional contemporary stories and wanted to write romantic suspense. The Steeple Hill editor I'd submitted to at the time said that the style of my stories would fit nicely as inspirational stories and asked if I'd give it a try. So I did and Cradle of Secrets was sold. 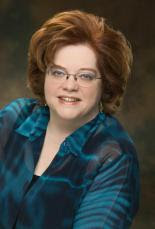 I found that I truly enjoy writing for Steeple Hill Love Inspired Suspense and am so happy to call it my writing home. I'd like to say that I wanted to help readers become more in touch with their own faith, but I must confess that it's just the opposite and a quite selfish reason on my part. 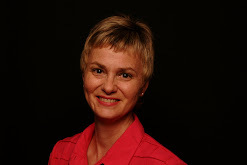 I write inspirational romantic suspense as a way for me to be closer to my faith. The fact that I can share my stories with others and that they enjoy them as well is just a bonus. For instance, a reader emailed me about a passage I'd written in Cradle of Secrets and how this particular passage touched her. I shared the story of how that passage came from what I'd gotten out of a sermon I'd heard years ago when I was a teenager and that it had stuck with me for more years than I care to admit since I am no longer remotely close to my teen years. I was also thrilled when I realized that the sermon I'd heard years ago was now being passed on to someone else and had touched them. So while my reasons for writing inspirational romances are purely selfish, I'm glad that my selfishness is bringing joy and entertainment to so many others. Until next time, many blessings to you! The great members of this blog have been talking behind the scenes about how to continually improve it and fill it with content you'll like. So, I have a few questions for you. From those who leave a comment I will draw a winner to receive a copy of Deadly Exposure. 1) What kind of suspense do you like to read? 2) Who are your favorite authors? 3) What type of suspense books would you like to see reviewed? 4) Anything else that will help me select the books I review for y'all? Week 13: As bad as it can get! I love Donald Maass! Okay, what I really love are the techniques he writes about in his WRITING THE BREAKOUT NOVEL WORKBOOK, especially this week’s lesson. Basically, Maass tells us to raise the stakes. And then do it again . . . and again . . . and again . . . and again. Maybe it’s the suspense writer in me, but I love to see my characters suffer. And no, I’m not an evil person nor do I enjoy causing pain in real life. But in fiction, the sky’s the limit. So Maass’ advice resonates with me. In this lesson, he explains that if problems arise from an outside source—meaning they’re not self-imposed internal conflicts—and if the problems continue to escalate, they eventually become what Maass calls "public" stakes. At a certain point, they touch the reader on a universal level. All of us can relate when the “world” or “fate” or “karma” seems to overwhelm the hero and heroine in a string of situations beyond their control. As readers, we identify with the characters and can see how their situation also relates to the problems we may be having in our own lives. When we, as readers, are able to make that leap from the literary problem to those in real life, the story moves out of the ordinary and into the extraordinary. Early in my writing career, I wrote a scene where bullets were flying, yet the hero and heroine escaped unscathed. Then I had a EUREKA! moment and wounded the hero. The story took off and became something bigger and better than I had first imagined. Since then, I’ve been upping the stakes and enjoying the problems that makes for my characters. Want to build excitement into your story? Shoot someone! Or have them come down with a life-threatening illness? The rent’s due, and the hero loses his job. Fire destroys his home and his insurance coverage has lapsed. Now string the problems together and make them all happen to one character. You’ll get the reader’s attention and end up with a memorable read. My revisions for Daddy For Keeps Jan. 2009 are due next Monday, I am twenty pages from the end (rewrite) and then I'm still not done. The minute I get to the end, I'll start reading it one more time to tie up the threads that appear based on what my editor told me to cut and to add. I already have two notes-to-self written. Note one says: Keep private detective looking for Tisha. Note two says: Add scene where Robby begins calling Betsy Grandma. After I do the second read-through, I'll take the final chapters, 10-15, and I still have comments from my critique group to weave in. Then, I've given the first revision draft (except for 20 pages) to my friend Stacey Connelly (All She Wants For Christmas SE DEc. 2008). My husband is amazed. See, he thought the book was done. My goal was to have the first revision draft done today, buuuuttt, Friday night was a book signing for March's book Broken Lullaby. It wasn't the world's most attended booksigning, but still I did it with best friend Cathy McDavid which made it one of the most fun :) Then, I had a woman come up to the table, and I started my author spiel. She's looking at me strangely. Finally, she says, "I know you." Okay, I've been a teacher for more than 20 years. I've taught almost every grade (yes, I've taught kindergarten; yes, I've taught college) so having people recognize me and me not recognize them is not surprising. Usually, they come back with, "It's me, Reggie, from Southwest Christian School. Usually, last time I saw Reggie he was five, wearing a Ninja Turtle shirt, and eating a red crayon. Surprise, surprise when I don't recognize the 6 foot 2 Reggie, wearing a hoodie, and showing off a red and black tattoo. Anyway, this time, the woman said, "Didn't you go to Northwest Church of Christ?" Wow, this time I ran into a woman who I hung around with right after college. She was in the same singles' group, and we were such friends that we drove to camp together, did movies, etc. Over the years, I'd wondered about her more than once (okay, so that didn't help me recognize her). Saturday, our church group went to some Indian ruins. I love things like this. 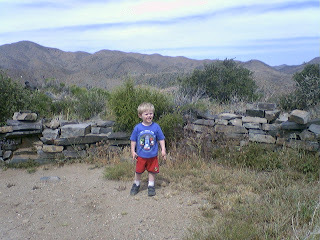 My son Mikey is such an outdoor kid. He's only three, but he kept up with the grownups, okay he passed up the grownups. Sunday was church, a little writing time, and then Grandpa came for dinner. Then, it's onto 6 a.m. Monday morning, and I roll out of bed to do the writing I didn't do over the weekend. I am soooo blessed. Thank you God. 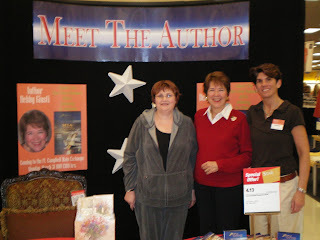 I attended a booksigning last weekend at the New England Romance Writer's conference in Massachusetts. I sat at the table with a stack of my book Cradle of Secrets along with a pile of Craftie Ladies of Suspense highlighter/pens and a stack of Steeple Hill bookmarks. I'd also put these items on the "goodie" table outside the conference workshops and they were snatched up as soon as I put them down! Anyway, I was sitting there and people continued to remark about how much they loved the Craftie Ladies of Suspense pen/highlighters until one woman came to the table and told me she already had one. I asked her if she'd picked it up on the "goodie" table and she said no, she'd picked it up at Stop and Shop when she bought my book. She was stopping by to tell me how much she enjoyed Cradle of Secrets and couldn't wait for the sequel, Her Only Protector, and oh, by the way, she loved the pen/highlighter. See, when Cradle of Secrets hit the shelves, I combed the area around where I live and I signed as many books as I could so readers could have a signed copy. I also left stacks of bookmarks and Craftie Ladies of Suspense pens. I was so thrilled that this reader was able to pick them up since most of the people I hand deliver the pens to are writers. So if you are a reader and would like a Craftie Ladie of Suspense pen/highlighter, please send me an email at lisa@lisamondello.com with your name and address and I'll send one right out to you. I have about 50 pen/highlighters left so it will be on a first come, first serve basis until I get my new batch. 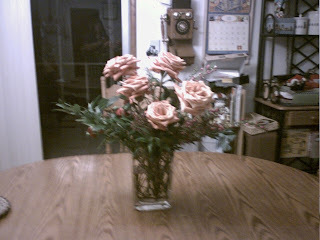 This is to thank you for checking out our blog and reading Love Inspired Suspense books. In the desolate Iraqi desert, a lone shepherd stumbles across a whale fossil. Initial analysis indicates that it could be a new species—a discovery that could shed new light on the evolution debate. Paleontologist Dr. Katie James is asked to lead an expedition to recover the rest of the fossil before her archrival, Nick Murad, can find it first. 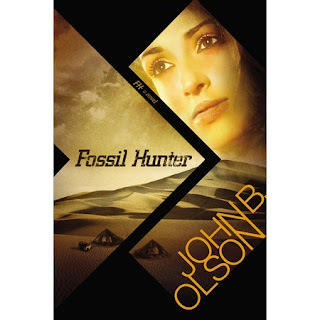 The Fossil Hunter by John Olson is a really fun read filled with forays into science, international intrigue and hints of romance. If you're looking for romance, that is not the primary purpose of this book. But if you enjoy a suspense/thriller with international overtones, then get this book. Katie is in danger of losing her job at the university where she is a post-doc student. As a way to save her job, she is given the opportunity to go to Iraq and hunt for a pre-historic whale. Her crime? She's a Christian who's also a paleontologist. Now that she's been shipped to Iraq, she's racing against the man who took her job at another university. Nick doesn't want to compete, but Katie is left with no choice. I could taste the grit in my teeth as they dug for the fossils and hid from various factions who didn't want them to unearth the fossil. There were so many factions in this book, it was hard to know who Katie could trust and who she couldn't. While I liked Nick, a lot, I also felt very connected to Katie from the first couple pages and pulled for her as I flipped pages. The pacing was intense and for as little as I know about paleontology, the science seemed accurate. The plot twists into the final pages, making it a very enjoyable read. Especially for those who like a flash of international flair with their thrillers. Ever consider strengthening your manuscript by giving your characters dual roles? Donald Maass, in his WRITING THE BREAKOUT NOVEL WORKBOOK, suggests exactly that. Years ago when Maass did a full-day workshop for my Georgia Romance Writers chapter, he had us write down all the “people” in our book and tell what reason their presence served in the story. Then he had us decide which characters could be eliminated and their “jobs” picked up by some other character. Yes, it cuts down on the number of guys and gals our readers have to remember, but it also gives that “Ah-hah!” effect when a seemingly inconsequential walk-on turns out to have a surprise role at the end of the story. Those of us writing category stories have to work with a low word count so we don’t have the luxury of an extended cast. But anyone writing a bigger book – or a breakout novel – can introduce a multitude of characters within the course of a 100,000-word manuscript. Maass makes the point that doubling up on a character’s purpose tightens the story and makes it better. I’ve used the technique when coming up with the actual villains for my stories. Often I’ll start writing with one bad guy in mind. Yet as I work through the pages, I realize I’ve been too obvious. By going back and turning a minor character into the villain, I’ve added a twist the reader, hopefully, doesn’t expect. After I logged off today, I’ll jot down all the characters in my work-in-progress and then start cutting. Then I’ll reassign roles to those who are left. Maybe I’ll end up with a surprise of two. I’ll let you know! 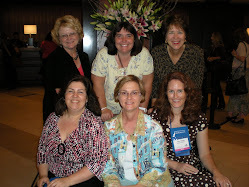 It’s mid-April and time to make plans for the National RWA conference this summer. 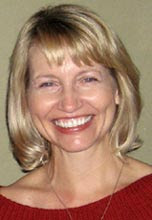 If you’re going and plan to pitch a story to an editor or agent, be sure to stop by www.Seekerville.blogspot.com today. We’re talking about pitch techniques and there’s lots of good information! Hope to see you there. I was stunned, touched and moved to tears during last weeks episodes of American Idol when the contestant sang Shout to the Lord. All those beautiful voices raised in praise to our Lord and King. Amazing and humbling. This show is one of the few reality type shows that I watch. I love how much the audience learns about the contestants and also I enjoy watching the relationships between the contestants. As much as they each want to win, the contestants still seem to care about each other. I also enjoy watching the careers form and take off, and love buying the CD's of the artists as they are released. But I especially love that this is one of the few shows that our whole family can and are willing to watch together. Is this What I Really Look Like? Yes!!! It's amazing what finaling in a contest will do to your life. There are really only four things you do for the RITA after you final: send books, send photo, send cover, send media contacts. I liked sending the books (only, now I only have two left). Emailing the cover was easy. The media was easy although I doubt anything will come of it. I'm in Phoenix, third largest city in the US. My little RITA nomination pales next to a man on a roof with a gun, immigration, and traffic. The photo, now that was the dilemma. I, of course, sent an eight-year-old photo. Why? Well, in that photo I'm younger! I'm skinnier! And, since it's BB (before baby) I'm also missing the dark circles under the eyes. So, off to the hairdresser I go. Then, off to Sears I go. Now, all the world can see what I really look like. No, I'm not talking about a person's figure although that may be the case (especially as we grow older). No, I'm talking about the middle of a story in a book (really over half the story). Some people think the hardest part of a story is the middle. Around the halfway mark of your book, you want to be sure that your pacing and story doesn’t slow down, especially in a romantic suspense. There are several ways to prevent that from happening. One, have the story go in a different direction. In Vanished, I have something dramatic happen that turns the story into another direction. Two, resolve one thread of the story but develop another. In Heart of the Amazon Kate finds her brother Zach, but suddenly they have to figure out who tried to kill Zach and later them because they are being hunted. Will they get back to civilization to bring the villain to justice? Third, the action doesn’t stop even through the middle section. Honestly this is the method I prefer in a suspense. I like to keep building on the story, upping the stakes. In Buried Secrets they raced to find a treasure and met danger the whole way. Which way do you like in a story as a writer or reader? It is now 1:42 AM on Friday and I haven't even gone to bed yet. I still have a list of things to do before heading out tomorrow to attend the RWA New England Chapter's annual writing conference. I'm always excited about going to this conference. It was the first conference I went to twelve years ago when I started writing. I was a new member of RWA then. I'd already completed my first novel, but didn't know what to do with it. After meeting a few other writers online in an AOL Writers Chat Room (Yes, Pam, that's you.) I learned of these fabulous conferences where writers can network with other writers and learn about the craft of writing and get industry news. I was so excited to go to this conference, but I didn't know anyone. I was excited, but very nervous too. See, I'm prone to panic attacks and I thought for sure I'd fly into one of my stuttering fits that always assaults me as soon as I open my mouth when I'm nervous. Some people laugh like a hyena when they're nervous. I stutter. Anyway, I convinced my husband he HAD to come with me for moral support. He liked the idea of hanging out in the hotel room and sleeping (I had very small children at the time and sleep was still a premium we didn't have back then.) and I liked the idea of having my husband there for support. Ever since then, the RWA New England Chapter conference has been something I've looked forward to every year. I love talking with the other writers, both published and aspiring to be published. I always learn something new about writing that gets me charged up to come home and get to work. And I always come home with a bunch of books. Now that my daughter is older and has developed a deep love of reading, she waits for me to come home so she can raid the books I've purchased at the bookfair (proceeds from the bookfair are donated to charity) or got for free. 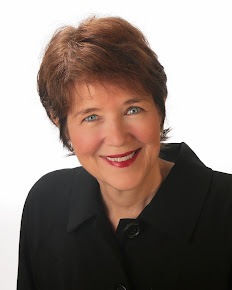 If you're in the Natick area Saturday April 12 why not stop by the bookfair, which is open to the public from 4:00-5:30 PM, and meet some wonderful authors. Make sure you stop by my table to say hello. I'll be signing copies of Cradle of Secrets, my November 2007 release from Steeple Hill Love Inspired Suspense. Want to learn about Research? Are you a writer and want a little help on research? Then join American Christian Fiction Writers. 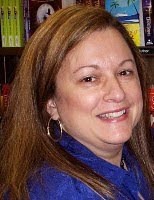 This month I am teaching an on-line class for ACFW members on Researching Your Way to a Book Readers Can't Put Down. Being me I've enlisted many of my friends to help. The class will be split between historical and suspense research. For the historical lessons I've twisted the arms of the following wonderful writers to help: Jamie Carie, Kim Sawyer, Nancy Moser, Tricia Goyer, Julie Lessman, and Stephanie Grace Whitson. Isn't that a fantastic line-up of authors willing to share their tricks and techniques with you! Here are the suspense authors who are participating: Colleen Coble, Brandilyn Collins, Brandt Dodson, Susan May Warren, and Jill Elizabeth Nelson. Wow! One thing I love about Christian fiction is how amazingly giving authors are of the knowledge they have. So if you want to learn more, check into ACFW. Since I’m working on creating a new villain, today’s lesson on antagonists in Donald Maass’ WRITING THE BREAKOUT NOVEL WORKBOOK drives home the point that there are no coincidences. You’ve heard me mention before that I’m in the midst of writing my fifth Love Inspired Suspense formally titled, LEGACY OF DEATH. This past week, my editor suggested changing the title to PROTECTING HER CHILD to reflect the story’s main plot. I like the new title and hope readers will as well. Now, what about villains? We all know the antagonist needs to have his or her own GMC (goals, motivation and conflict), but Maass encourages us to go even deeper into the villain’s character. One of the workbook exercises focuses on exploring the bad guy/gal’s sympathetic side. By adding a few details, the reader can see the villain as a multi-dimensional character that may be likable in some ways. Just as our hero and heroine can be pulled between what they really want/need and what they think they want, so that internal struggle can provide a more richly drawn antagonist as well. His good side may be in direct opposition to the bad deeds he may be forced to do in the story. That ups the conflict and makes the antagonist a more compelling character. As I read Maass’ comments and hastily scribbled notes after the exercises he suggested, I found my villain evolving into a different character than the single-focused thug I had originally considered creating. Maass’ gift is to open us to think outside the box. He allows us . . . encourages us to find new ways to explore old problems. As writers, we always like a challenge. That’s probably why I like Maass’ techniques. He challenges us to be better writers, to dig deeper, to stretch and grow and create stories readers will remember. Speaking of remembering, which villains stand out in your mind? What made them memorable? How can you incorporate those same traits into the villain in your current work-in-progress? I turned in a book, Double Threat Christmas, my December 2008 release, last Monday. Yea!!! Whew, its always a relief to send that baby off. So since then, I've cleaned my office (it looked like a bomb went off) and did the Author Alterations (the last read through before the a book goes to print) for Double Cross, my September 2008 release. Now I have to get moving on my next book, Her Last Chance, Book 6 of the Without a Trace continuity series. I'm reading my way through the first five books, though only books one and two are available to me yet, but I'm ready to start writing on my book, because I know I can always go back and change anything that isn't jiving with the other books. That's the beauty of the writing process, until the book is in published form, its never too late to change something. How often in life can we say that? What a weekend! Starting Friday afternoon when I arrived home to an arrangement of flowers from Harlequin and ending yesterday morning after I spent the weekend in Chandler, Arizona, at a writers' conference. As a writer, being amidst writers - especially brand, new, and ever-so-excited writers - is like a shot of writercilin. Friday's highlight - greeting people I see maybe once a year. Sitting in a ballroom amidst 250 people and standing up to be introduced as a RITA finalist. Saturday's highlight - Breakfast with Kerri and Kimmy and Carol. Then, off to the ballroom again. I love editor/agent panels. I learned a lot about how publishing a book with a small press or an e-publisher can affect your career. 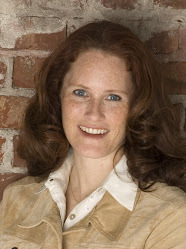 Jessica Faust agent)gave informative view of what to expect of an agent. 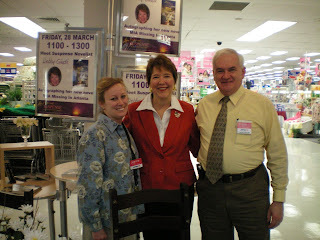 Lunch, I sat at the inspiration table and met a woman named Becca who turned out to be a fellow ACFWer. I was so excited. Afternoon's best workshop by Laura Fulginiti was on forensics. This workshop was worth the whole cost of the conference. I learned lots about dead bodies (good since I write about dead bodies). I am a conference veteran and didn't plan on taking notes since I know everything (picture wild laughter here) and I also brought grading with me. I would up with a whole page of notes on the back of an Eng101 paper. Saturday evening I went to dinner with the Harlequin editor Brenda Raisanen and a host of seasoned authors (Barbara White, Brenda Novak, Cathy McDavid, Carrie Weaver, and Linda Style)who had been to many of these adventures: them, relaxed; me, how-did-I-get-here nervous. Sunday started with a breakfast with agent Michelle Grajkowski(my best friend's agent) and many of my best friends (Again Cathy McDavid - go ahead and figure out she's my best friend - Stacy Cornell, and Carrie Weaver). Then, it was home to my favorite guys. Mikey wasn't feeling too good so I got a whole afternoon of evening of little boy in lap. I hate to admit that sometimes I like it when he's a little under the weather because he becomes a lap baby. It was a killer-great weekend. Happy Writing All! Have you ever hit a wall...where you are bogging down while writing a story? Or if you are reader--have you ever been immersed in a story and then felt yourself losing interest? Perhaps the story had you in its grip and now...it's humdrum. One thing that can happen is that the characters lack enough conflict and motivation to really drive the story. Or, perhaps the scene is meandering, without a clear-cut goal. If a writer suddenly finds herself bored with writing a scene, imagine how a reader will feel! 1. A character's strong goal. 4. And how his efforts to achieve it, coupled with his success or failure, makes things better or worse for him at the end of the scene. Something has to change following the action in this scene. McKee's book, STORY, refers to making sure that the emotional level changes, between the beginning of a scene--if the character start out positive, and things are going well, the scene will be flat if all goes well throughout the scene and at the end, he is still happily going on his way. I'm late posting today because life happens and I get caught up in it. I went to our writer's meeting and heard DiAnn Mills talk. She is a joy to hear and she knows her stuff. But I feel like I'm accomplished nothing today really and that is very frustrating to a person who is goal oriented. I have a long list of "things" that need to be done this weekend and nothing is done. EEK!!! Stress is creeping in as I write this post. So I'm asking you all what do you do when life overwhelms and you are trying to get things accomplished and you feel like you aren't going anywhere? I'll tell you a secret. On the way home from the meeting I pulled into Braum, a ice cream place here that is wonderful, and bought myself a double dip cone. I have to confess I enjoyed every lick the rest of the way home. But those "things" still need taking care of. I'm hoping little tiny fairies come in the middle of the night and take care of the list. Next weekend in the RWA New England Chapter conference Let Your Imagination Take Flight. I'm quite excited about getting together with some writer friends, sitting in on some great workshops and attending the booksigning with over 40 authors. I'm mentioning it a little early so that those of in the New England area want to attend a fabulous booksigning and meet some great authors, we'd love to have you. All profits from the booksigning go to charity, making it doubly nice. On the writing news, my latest proposal has flown the coop. Or at least left my desk and is now making its way to New York to my editor's desk. Wish me luck! 9:22 PM update! Several weeks ago I mentioned a story about an elderly couple that died within hours of each other. I'd heard the story many times before but always loved hearing stories like this because although it's sad, it's also beautiful. True love and committment is what I write about and love to read. Today I heard the story again. I'm posting the link from YouTube here so you can hear this amazing couples story. Over the weekend, I traveled to Kentucky for three book signings and had a wonderful time at each stop. On Friday, March 28, I was at the Main Post Exchange at Fort Knox, KY. That’s where I met and married my hubby years ago, and going back was especially meaningful as my son and daughter-in-law are stationed there now. PX Manager Steve Art and his assistant manager, Jeanne Young, made me feel so welcome. They arranged a lovely signing area with flowers and three posters about my latest release, MIA: MISSING IN ATLANTA. Jeanne had my name on a huge sign outside the store, and I was thrilled! Thanks to everyone at the PX for making the day so wonderful. On Saturday, I signed at The Book Store, in Radcliff, KY. Bookseller Debbie Meredith did everything to make me feel right at home with a beautiful table, refreshments, balloons, my book featured on the display outside the store and even a present when the day was over. I was joined by two other authors, and we were pampered the entire time. Thanks, Debbie! It was great seeing you again. Jerry Brown is the storeowner, and he’s a super guy who carries a large romance section in his store. Anyone in the Northern Kentucky/Southern Illinois area needs to stop by the The Book Store. You’ll enjoy meeting the great folks there. Some of you may have heard me mention that I wrote MIA when my son was deployed to Iraq for the second time with the 101st Airborne Division (Air Assault). The book is dedicated to the 101st and to all our brave men and women in uniform. Since we were so close, my hubby and I drove to Fort Campbell on Sunday and had a signing on Monday at the Campbell Exchange. 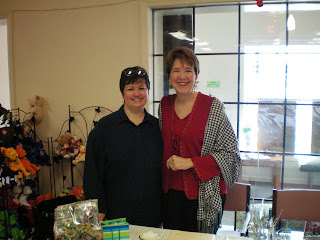 Mae Padgett, Sales and Merchandise Manager, greeted me with Bluegrass charm along with store manager Beth Goodman. Once again, I was given the royal treatment with a beautiful signing area. Thanks, Mae, for making it perfect in every way. The 101st is currently deployed to Iraq, and I met so many wonderful Army wives who are holding down the home front while their soldier heroes are making the world a better place. Tammy was a sweet lady who stopped by my table and bought a copy of MIA. While I was autographing her book, Tammy’s cell rang. “Hi, honey,” she said, her voice filled with emotion. I immediately knew her hubby was calling from Iraq, and it brought back so many memories of phone calls I received when my son was deployed. Once again, I was touched by the dedication and commitment of our military and their families. As always, they are in my prayers. May God bless them, protect them from harm and bring them home safe and sound! So I was at the Christain book store the other day browsing through the parenting section. I have a teenager who will be graduating from the 8th grade at private Christain school in June and then off to high school next fall. Now, I know this isn't as big a deal as when she goes off to college, but trying to find a high school was a challenge. When I was a teen, you went to the school that was in your neighborhood. Now there are choices. Private Christain schools, private secular schools, private secualr schools with a certain emphasis, transfers to different districts. Well, after a fall and winter of looking at high schools, visiting the schools, my daughter shadowing at the various schools, we've decided to continue with her Christian education, at least for the next year or so. But still, she's a TEENAGER! Ugh! So I pick up this small, fairly thin book called For Parents Only. The authors, Shaunti Feldhahn and Lisa A. Rice, did extensive surveys of pre-teen and teens in their research for this book. The findings are proving interesting. I've only had time to read the first couple of chapters. One of the big things that has stuck out for me so far is that teenagers crave freedom and will do anything to gain it. Whoa! Big light blub going off. I'm just starting the section in this chapter called: What's a Parent to do. I can't wait to find out.